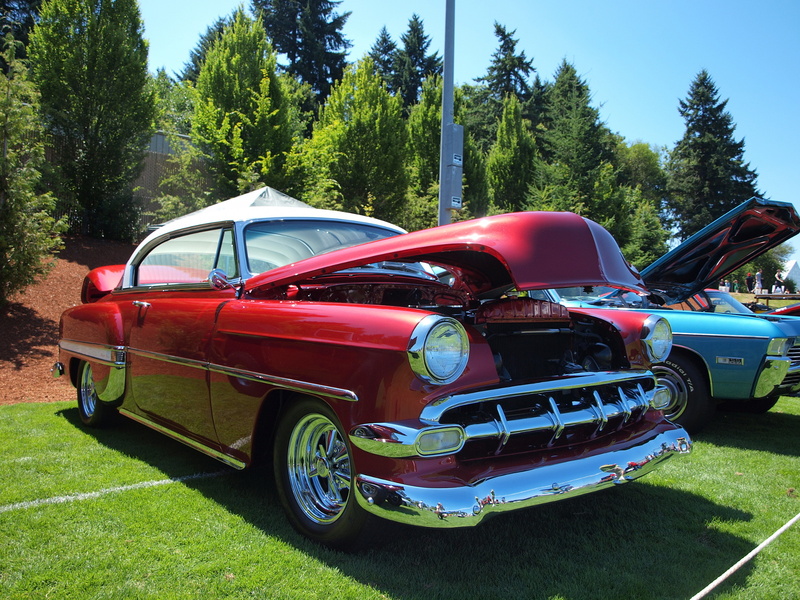 These pictures were taken last summer at a classic car show in Beaverton, Oregon. 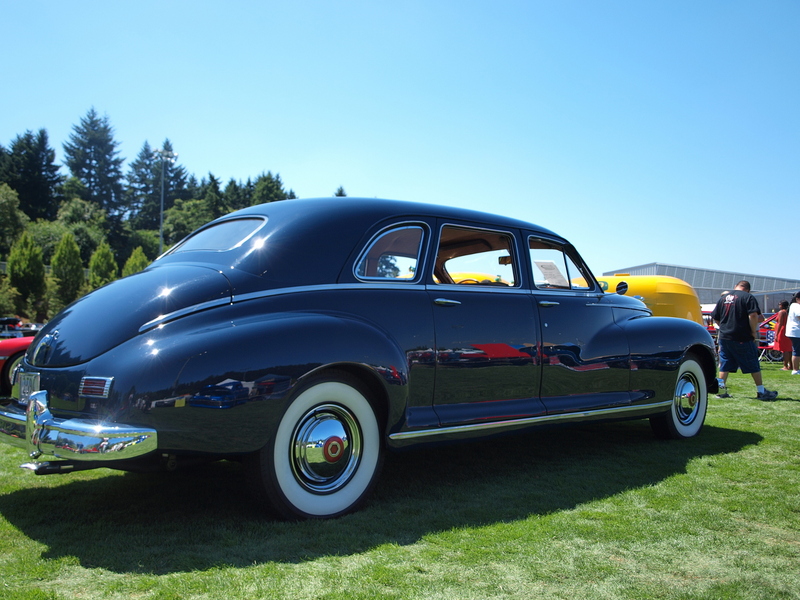 I don’t know who owns any of the cars, and likely don’t even have the right model and make, but each is gorgeous in it’s own way. 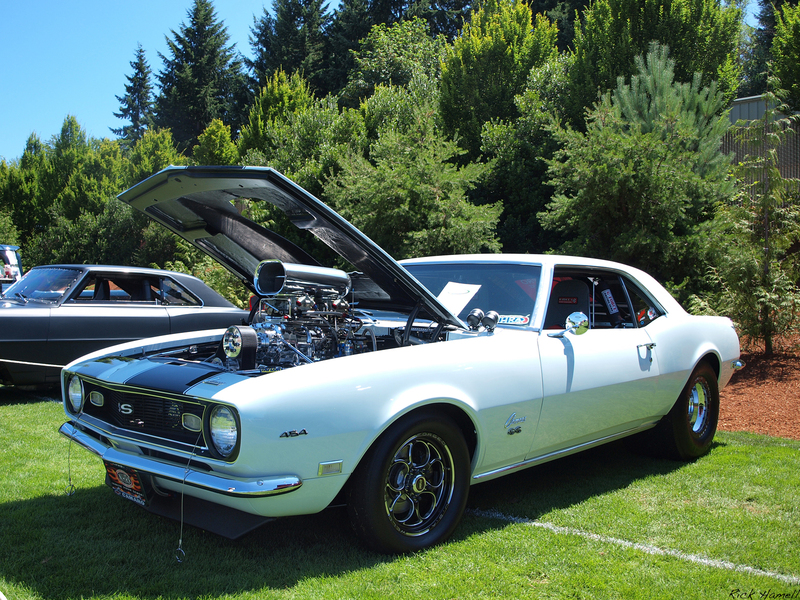 We have a very nice white Camaro SS 454. This one has been slightly modified for racing. Between the fat tires and the big air scoop on that engine, you know it goes fast! A Studebaker? It didn’t have any model badges at all so I couldn’t tell for sure. This black Chevy Impala is my speed. 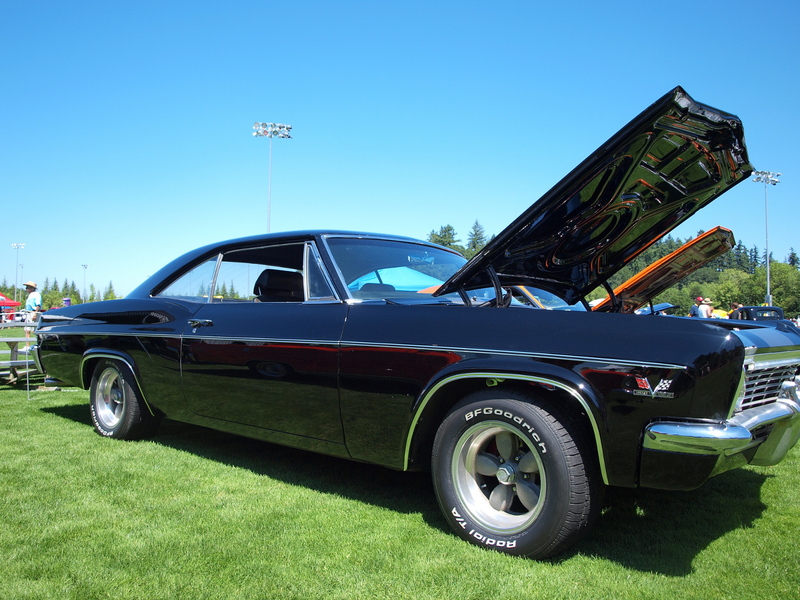 I like good looking classics that move fast – even when they’re standing still. I think this is a Pontiac. It’s kitted out as a Limousine, hence the longer back end. 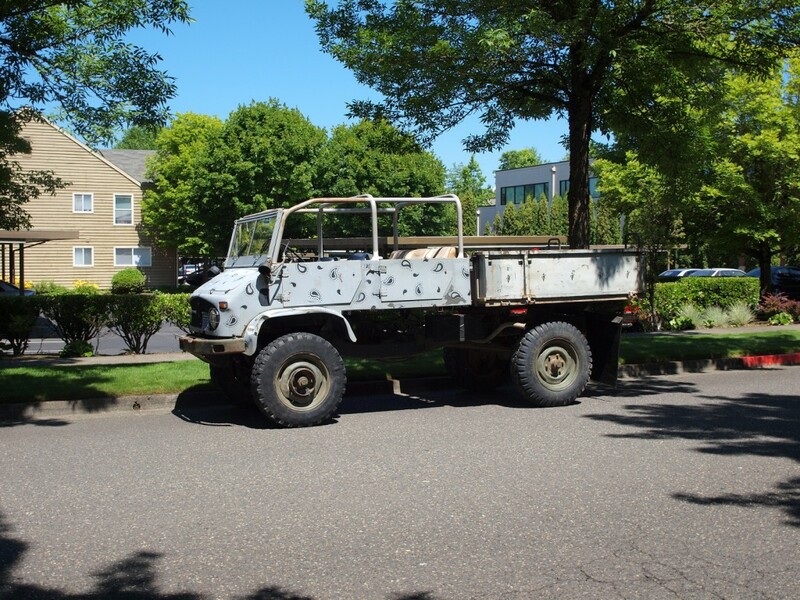 You would think such a unique vehicle would have a bigger presence on the Internet, yet any information about it seems to be hard to find. 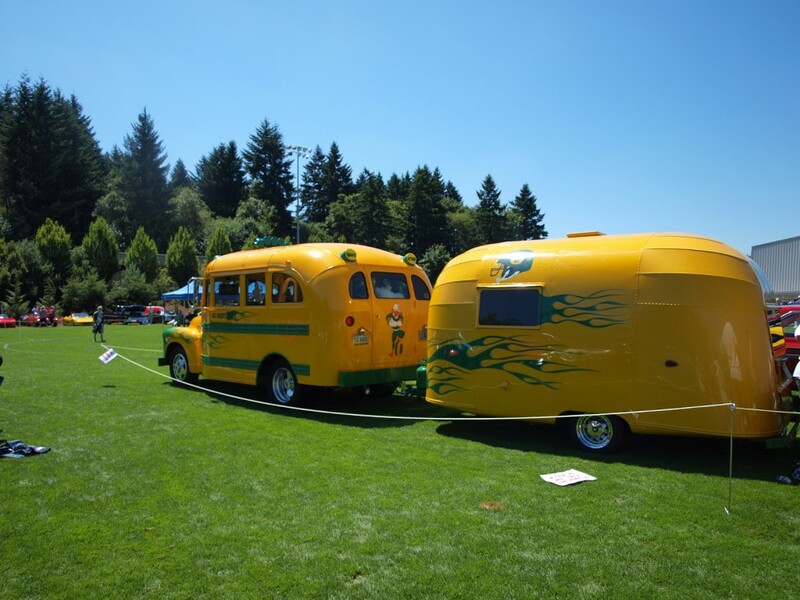 I did finally find a video on YouTube that explains that it’s a 1951 GMC bus that pulls a 1956 Airstream Trailer, both have been customized a bit.